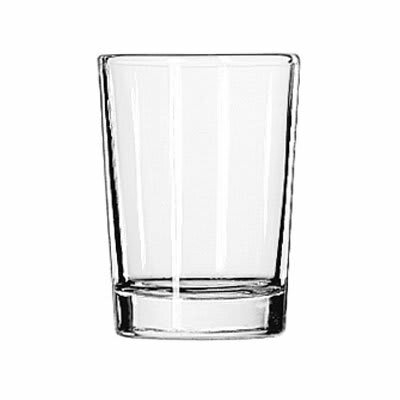 The Libbey 5134 is a side water glass, meant to allow you to offer a small glass of water before a meal or alongside another drink such as coffee or wine. Made out of clear glass, it has a smooth, round design, resulting in perfect clarity. The top of the glass is 3⁄8 of an inch wider than the base, resulting in slightly tapered sides. The base is weighted, made with thick glass to ensure stability. 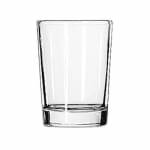 This side water glass is dishwasher safe, so the dishroom can easily keep up with your servers' needs. It is made in America by Libbey, a company well known for their long history of quality and durability. At just over 3 inches tall, this glass allows you to offer your customers the convenience of a small side water and can even serve as an innovative appetizer or dessert dish. Overall Dimensions: 31⁄8 in. H x 23⁄8 in. top dia. x 2 in. bottom dia. "I purchased these glasses to make customized beer flights for a bar. They look durable, none of them have broken. They were packed well and all a..."
"I purchased these glasses to make customized beer flights for a bar. They look durable, none of them have broken. They were packed well and all arrived intact. I will order from KaTom again."